NEAT has developed SW Tools that, starting from a CAD representation of the railway line, allow to design the trackside subsystem according to ERTMS and/or SCMT (the Italian NTC level) requirements. Tools produce configuration data for trackside subsystem as well as support documentations and test data files needed in a SIL4 Data Configuration process. Tools are configurable to be able to manage CAD representation related to different markets. This tools have been in use for more than 10 years. 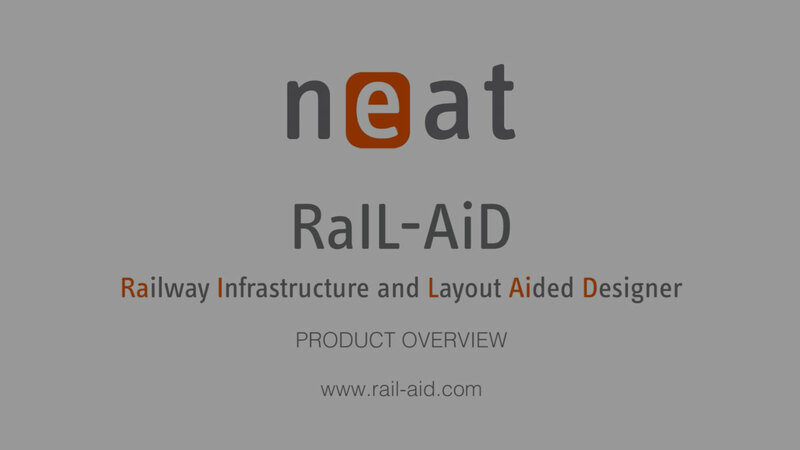 NEAT has developed RaIL-AiD (Railway Infrastructure and Layout Aided Designer), a OS-independent software tool for drawing and visualizing fully equipped railway track plans, and for easily editing, checking and exporting the relative objects properties in different formats (e.g. railML®, Subset 112, pdf, csv, html). RaIL-AiD simplifies the railway infrastructure planning process by automating the tedious and time-consuming operations of producing consistent railway drawings and objects attributes. Moreover, thanks to smart topological constraints and automatic object connections, design errors are effectively minimized during the project modelling and review phases. The data produced by our software can be used as an input for Interlocking, RBC and HMI configuration tools.